Video: "Put it around your stupid neck." 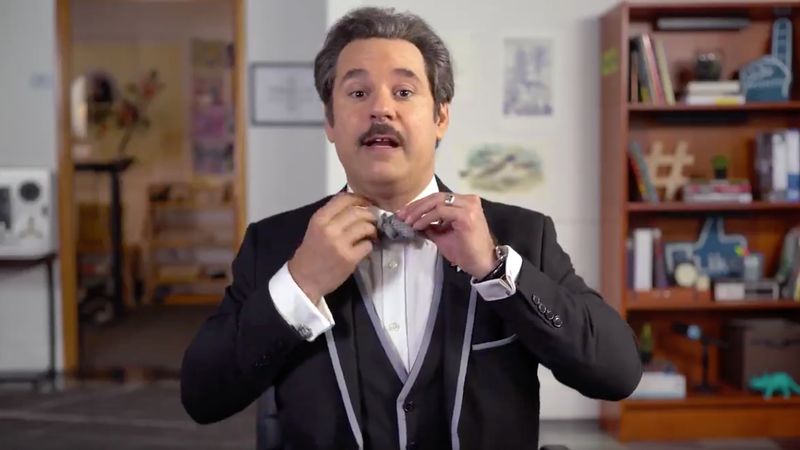 That's how comedian/actor/dandy Paul F. Tompkins starts his tutorial on how to tie a bow tie. He peppers his instructions not just with jokes, but with helpful guidance about why you're doing each step, which makes it much easier to follow along. "I'm trying to give you a good angle on this, because a lot of tutorial videos will not show you that, and it will be very frustrating." Tompkins knows our pain.